Be calm and collected behind the wheel of your automobile in order to drive coldly and rationally when entering and exiting the freeway. Lose your fear of the freeway and learn to see it as a place where you can go fast and be safe at the same time. Experience the thrill and convenience of freeway driving, learning to trust your driving skills, and the skills of other drivers. By using the Steve G Jones “Overcome Fear of Driving on Freeways” self-hypnosis audio recording, driving on the freeway will no longer make you panic and sweat. Does the idea of a freeway make your pulse race? Do you get cold chills whenever you approach the freeway onramp, or start to lose your mind when the flashing lights of cars pass you at seventy miles an hour? If you find that you suffer from tremendous anxiety when you drive on the freeway — or if you find that you avoid freeways altogether when you drive — then you should get help with your phobia and stop being trapped in your own neighborhood. The Interstate Highway system is nothing to fear, and driving on the freeway can be a thrilling adventure, if you are able to relax and enjoy it. The freeway is no place to worry or lose your mind, and with the power of self-hypnosis, you can train your mind to become relaxed instead of becoming terrified. With your smooth driving skills and steady hand, you will find yourself cruising along without panic. If the idea of driving on the freeway fills your mind with images of crashing cars, then use Steve G Jones “Overcome Fear of Driving on Freeways” to get over your lamentable terror. Driving fast is exciting and can be a great way to relax. The freeway is not bumper cars, and most people who drive on the freeway are in the same boat as you are – they don’t want to crash and die either. Driving fast lets you get where you are going quickly and efficiently. The scariest part of freeway driving is getting on and off the freeway. If you want to overcome fear of driving on the freeway, then the first thing you must do is train your mind to be strong under the pressure of entrance and exit on to the freeway. Entering and exiting the freeway is so dangerous because you have a limited amount of time to match your speed to the speed of the cars around you, whether fast or slow. If you make a mistake or are too aggressive, it can be deadly. How Can I Overcome My Fear of Driving on the Freeway? If you wish to overcome fear of driving on the freeway, the best way to do this is to use self-hypnosis to trigger your relaxation principle inside your mind whenever you are doing the thing that scares you: in this case, freeway driving. The freeway is an incredibly powerful device, and by choosing to let your fear rule you, you are missing out on one of the most useful inventions of the twentieth century. 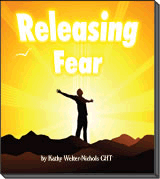 Get driving, and get over your fear by using Steve G Jones “Overcome Fear of Driving on Freeways” self-hypnosis audio recording, and training your mind to eliminate fear when it arises. It carries a full sixty day guarantee, in fact, so imply listen on a regular basis and let the fears melt away, and order your copy now.